Meet Cindy Leong. 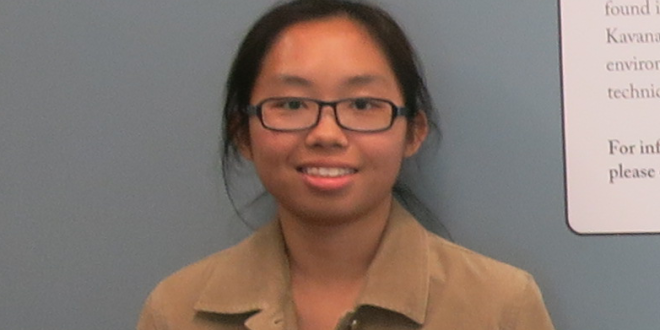 She is a sophomore majoring in computing science and mathematics. Cindy is a recipient of the STAR Center IT scholarship, which was funded by the Florida Entrepreneurism, Policy, Innovation, and Commerce (EPIC) Program at JU to develop electronic medical records (EMR) for the Simulation Training and Applied Research (STAR) Center in the Brooks Rehabilitation College of Healthcare Sciences. Tell me more about yourself. I am originally from Malaysia and started studying in United States when I was 14. Other than the nursing program EMR project, I am also heavily involved on campus, including several organizations such as the Computer Science Society and International Student Association. I am also a College of Arts and Sciences representative in JU Student Alliance. How did you become interested in computing science and programming? I have always liked to play with computers ever since I was little. I would click random buttons just to see what they do. However, I cannot say I am as good as my peers who have started working on computers since they were young. There was a computer programming course in my high school, so I took it and fell in love with programming. What is your role on the EMR project? Aldrich and I split the EMR project in half. I am in charge of creating ICU, Obstetrics and the Foundations (system) assessment. In this project, we are using JAVA programming language, one of the most popular object-oriented program, and SQL, which is a programming language used in database handling. We are creating the user-friendly interface by the functions already available in the integrated development environment that we are using, which is Netbeans IDE. We have coded the background processes so the user-friendly interface can directly talk to the database. What do you like best about working in the STAR Center? I love the staff I have had the pleasure to work with. They are all very friendly and understanding, especially (STAR) Director Dr. Kathleen Kavanagh. What do you hope to pursue after graduation? I hope to continue my studies in computing science, possibly in either cyber security or big data.